The Web is in constant flux, and so can be your clients’ web presence. Buying paid advertisement space from Google Ads, Bing Ads or social media platforms is all well and good, but those efforts—and those expenses—have to amount to something. What’s the point in bringing your ad to a responsive audience only to lose your hard-earned clicks to a broken URL? Your solution to this problem is the Bulk URL Checker reporting template, powered by Supermetrics. This simple and effective tool helps online marketing agencies track and review their paid ads to quickly identify and fix URL problems. 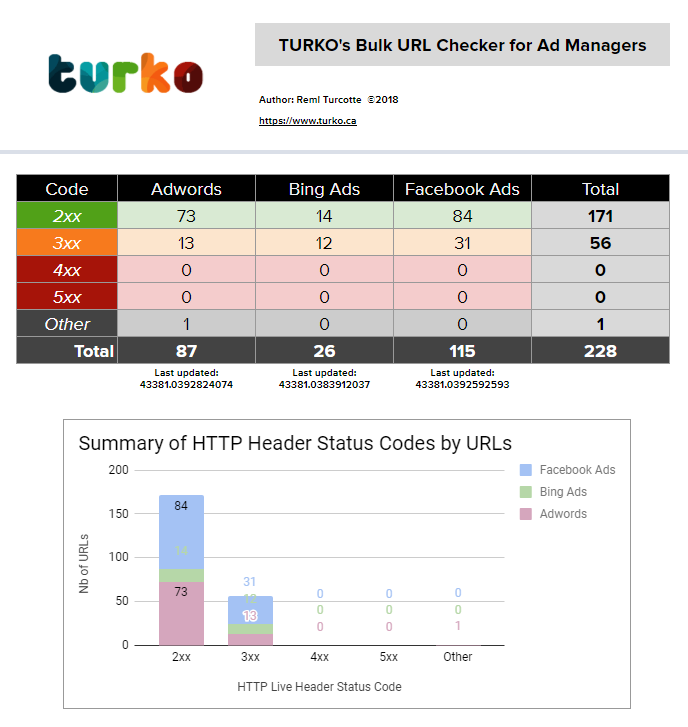 This article will tell what issues a broken URL can cause for your clients and how you can easily fix those issues with Bulk URL Checker tool by Turko Marketing. You will learn about what each tab of this template is for and how to work with the information provided by the template. Experienced marketing managers know very well how even small client accounts can end up linked to dozens of individual ad campaigns. Keeping track of every single ad is time-consuming at best and impossible at worst. Yet, painful as this process is, it’s a critical part of a successful marketing campaign management. After all, each ad that fails to direct the audience to its intended target incurs a significant cost, both in terms of money spent and of your client’s reputation. A broken ad link is definitely not a good look for any brand! By automatically reviewing all your ad campaigns and sorting broken links by error code, the Bulk URL Checker for Ad Managers quickly and easily signals end-of-the-line issues. No need to painstakingly keep track of every single ad, no more doubt, and no more wasted clicks! Instead, you get all the data you need in an instant so you can spend your valuable time and energy fixing the problems themselves. The best part? This entire online tool is based on Google Sheets and is powered by Supermetrics. Neither there is any need to install a special program nor it is necessary to learn a brand new UI. The whole tool is a cinch to work with, and you can collaborate in a Google spreadsheet report with several teammates at the same time. An overview tab gives you a quick preview of all your problematic ad URLs sorted by error code and advertising platform (Google Ads, Bing Ads, and Facebook Ads). This helps you quickly identify the type of issues your ad campaigns are facing, so you can focus your attention where it’s most pressing. The Bulk URL Checker for Ad Managers looks for four common error codes that indicate URL breakage, each for a different reason. You’ll find a breakdown of issues per error type on all tabs, including the Overview tab. This easily lets you know where issues are mostly minor and where they’re more involved. Not all error codes are born equal. The Overview tab contains general data only. Once you’re ready to see more detailed information, check out the Account tab. The Account tab provides a sorting of the error codes per customer. This, again, helps you focus your attention on the most critical matters. It’s also useful to keep a record of which clients are most prone to issues of URL breakage, and which error type affects them the most. For instance, if one of your customers is regularly a subject to 404s that you can’t fix on your end, it might be worth contacting them to let them know how this negatively impacts their ad performance. Not only does this tool help you fix URL breakage where you can, it also brings added value to your business by empowering you to help your clients identify outages on their end. The bread and butter of the Bulk URL Checker for Ad Managers is the Campaign tab, which lists every single issue on its own line. This is where you’ll find exactly what ad URL is broken and why. This highly precise view is best used to find and fix problematic URLs and groups of ads that share a common issue. This tab is split into three sections, one for each of the ad platforms the tool covers (Google Ads, Bing Ads and Facebook Ads). Each section contains platform-specific metrics which help provide insight into how each campaign is performing. This way, you always see all the info you need to easily navigate through all your campaigns on those social networks themselves. Whatever the source of the problem is, you can easily see it and then fix it on your end, if possible. An ad campaign is only successful when the audience sees what your client has to show. Clicks are already hard enough to get. When a click fails to convert into a page view, it stings. That’s why online marketing managers and agencies have to keep an eye on broken URLs, but this process eats up valuable time. In this guide, we learned why the Bulk URL Checker for Ad Managers is a valuable tool for ad agencies and marketing managers. We explored how to use the Overview tab to quickly identify issues, the Account tab to better keep track of each customer’s problems, and the Campaign tab to identify and fix individual problems. Armed with this new knowledge, you’re now ready to make your ad campaigns more efficient than ever. Forget the days of impressions lost on the cusp of success. You’ve bought targeted ads already—now, you can make sure they reach their audience. After you get your copy of the template with your data pulled into the spreadsheet with Supermetrics, open the “Read me” tab to proceed with further instructions. 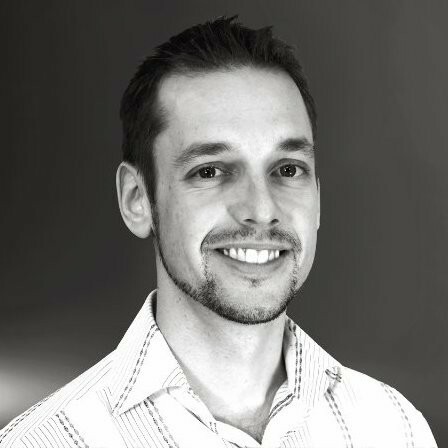 Remi Turcotte is an online marketing entrepreneur and the owner of Turko Marketing, a digital marketing agency based in Montreal that fuels the online growth of small companies and corporations alike. He takes pride in improving brands in just a few months’ time through proven practices and innovative use of tech tools. Find this Supermetrics guest writer on LinkedIn.